After reaching its lower targets, Euro started correction. 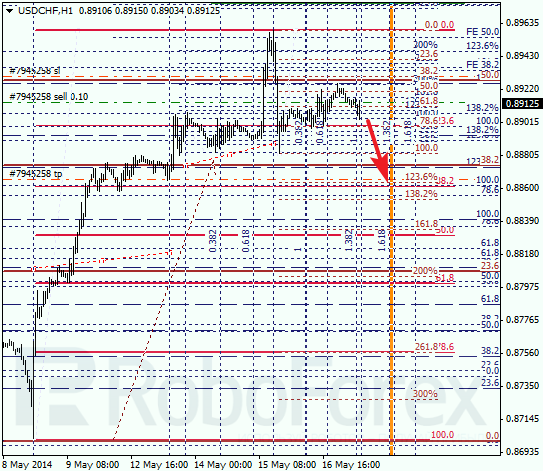 Closest target is at local level of 38.2% (1.3780), where I placed limit sell order. If later price rebounds from it, pair may start new descending movement. 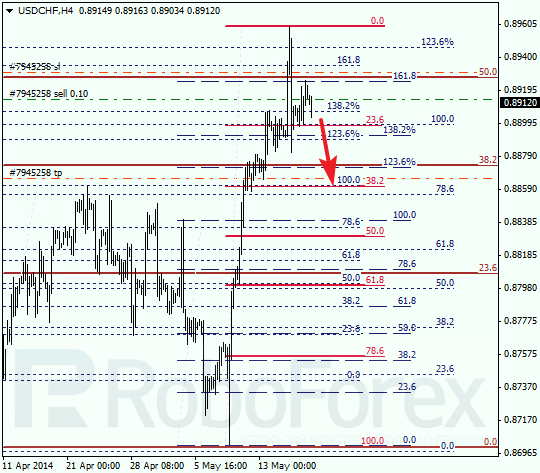 As we can see at H1 chart, market is still consolidating. According to analysis of temporary fibo-zones, price may reach level of 38.2% during the day. We should note, that if bulls are able to break this correctional level, pullback upwards may be more significant. Franc is also reversing. Most likely, during the next several days descending correction will continue; its target is at level of 38.2% (0.8860). 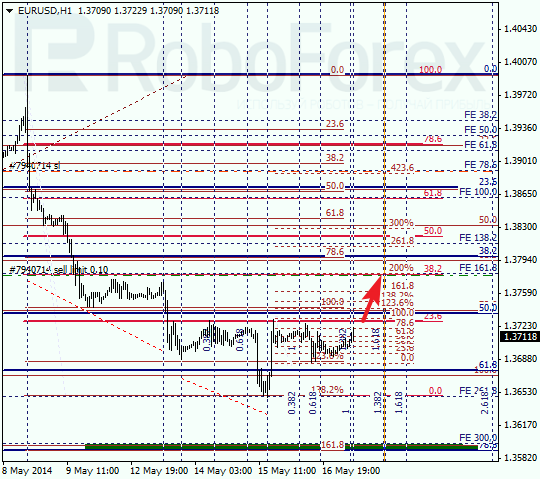 I opened sell order with target placed at above-mentioned level. 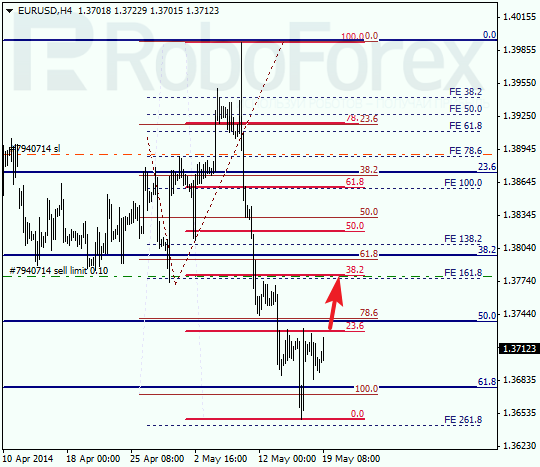 At H1 chart, price reached its upper targets and started new correction. According to analysis of temporary fibo-zones, level of 38.2% may be reached during Monday. If later pair rebounds from this level, market will start new ascending movement.